​In this letter intro from Paul, he is expressing his thankfulness for this church not only because they are faithful Christ followers, but because their reputation as such is know near and far. My hubby loves to tell silly little jokes and he gets very tickled at himself. And usually his joke and laughter is followed by “now, that was funny”. The grands love it, but one of the kids usually replies “If you have to tell everyone you’re funny PawPaw, are you really that funny?” Meaning, if you’re funny, people will already know, you don’t have to tell them. It’s meant in fun, but there is a learning there about our actions and reputation, especially as Christians. What is in our hearts and heads will naturally be redirected outward toward others. Do we love others, show compassion, serve without grumbling and provide encouragement? These actions do not make us Christians, but rather they demonstrate the love we have for Christ and for others. I want my life to be a reflection of Christ, I want Paul’s comment to be true of me; well, maybe not in the whole world, but definitely in this small corner of the world where God has placed me. And it is all for His glory! 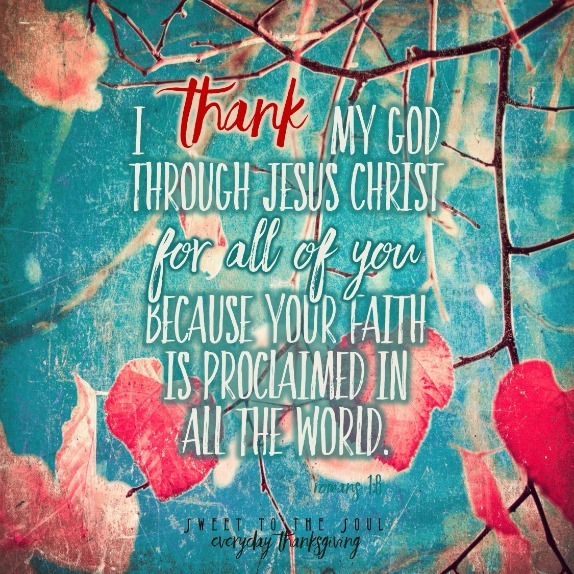 Today I am thankful for all of the wonderful Christ filled people God uses for His kingdom work and especially those who have touched my life personally. Their reputations as Christ lovers and followers acts as a light in the darkness, reflecting the glory of our Lord and leading others to the only true one who gives grace, forgiveness and salvation, Christ Jesus. Today, thank someone you know who reflects the glory of God and has made a difference in your life. 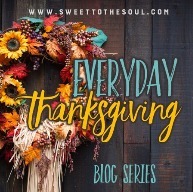 ​Today's blog post is part of our November series #EverydayThanksgiving.